The young people from Margery Stoneman Douglas High School in Parkland, FL, have done what nobody of any age has managed to do before: turn yet another instance of senseless gun violence into a national movement that goes far beyond just school shootings and is actually beginning to see results. Now other young people are building an international movement to address climate change. Not only can they give us hope for the future, but they challenge and inspire those who are no longer so young to support them, work with them, and follow their lead to do what we so often say we want to do: build a better world. Preemptive Radical Inclusion is a framework for liberation and justice to use when we are in positions of leadership, when we are given–or have taken–responsibility within a group or organization. Whether it is the formal and constant leadership of organizational leaders, or if the leadership is temporary for a particular event, our responsibility is to plan for, include, and involve everyone–broadly speaking–in our event. Preemptive Radical Inclusion is not a box to check off in a planning process, i.e., “put out a ‘call for diversity,’ so check inclusion done”; it is instead a lifelong practice. It is not a thing to do, but a way to look and to perceive. It is a way to examine privilege, to take on responsibility, and to work for justice. Preemptive Radical Inclusion lives at the intersection of trauma-aware and anti-oppression practices. PRI challenges leaders with enough tension to require growth and not permit avoidance or denial, while holding enough space for the complexities of leaders’ own histories, identities, and experiences to remain attended to but not centered. Adults – Sliding Scale of $30-$40-$50-$60-$70. Registration fees are on a sliding scale, based on your assessment of your ability to pay. Those who pay at the two highest levels are making a donation to help those in financial need for this event. Please remember that for a sliding scale to work, we need the same number of people with means to generously pay more to balance the needs of those who can afford less. (This is one way we try to build the Beloved Community!) Please let us know if you need a partial waiver. There are no full waivers but those requesting a waiver will pay only $5.00. Youth – $25. Youth may request a partial waiver. Childcare – is available for $5 per child. You must list the name and age of each child on your registration form. Right Size Programming for Small Congregations – Rev. Megan Foley, CER Staff. Good for congregational leadership teams. Often, the model of church that people have in their heads is a church that can afford full-time ministry, along with part-time staff members, such as religious educators, music directors and administrators. Striving towards this “full-service” model can be very stressful for smaller congregations. How can your congregation prioritize what matters and lean into a joyful and more focused expression of Unitarian Universalism while not feeling guilty about not getting to the things you think you’re supposed to do? Bear Witness, Build Trust – CB Beal. This workshop will build upon the Preemptive Radical Inclusion Keynote Address in a practical way as we gather to explore and practice building skills of invitation and witness. Healthy Communications: The Benefits and Drawbacks of Emotional Triangles- Rev. Dr. Lynn Acquafondata.Emotional triangles and the power dynamics contained in them can lead to either conflictual or to healthy communication. This workshop will introduce concepts and tools to discern the differences in relational triangles and ways to guide relationships towards health at church, work and with your family. Rev. Lynn is the founder of Congremap:Congregational Systems Consulting and a mental health counselor in Rochester, NY. Name That Tune! 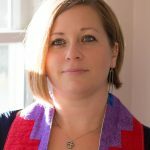 Finding Music for Worship – Sara Jo Brandt, Music Director, First UU Society, Syracuse and Saint Lawrence Liaison to the AUUMN. Learn more about the AUUMM Music Database. What kind of information does it have? How can it help me plan worship? Bring a wifi-enabled device if you want to try it for yourself during the workshop. Responding to Climate Change: Supporting a Carbon Fee & Dividend Program– Jim D’Aloisio. With the bipartisan introduction of the Energy Innovation and Carbon Dividend Act in the U.S. House and Senate, we now have a path to reduce our greenhouse gas emissions, while stimulating the “green economy.” Many UU’s and congregations are in support of this action. Come learn about the program, and why it’s important. Bring your questions. Family Ministry– Rev. Douglas Taylor and Sarah Martin. Congregations are one of the last places in society where generations not related by blood come together. Join a conversation about how our congregations can meet that need well. Commissioned Lay Ministry Program – Jeff Donahue (CLM for Binghamton), Dorothy Latta & Nancy Lewin (CLM candidates for Plattsburgh). The Commissioned Lay Ministry (CLM) Program provides an opportunity for committed Unitarian Universalist leaders to deepen their faith while serving their congregations in more significant ways. Come hear stories and ask questions about the program. The Family Size Church – Rev. Megan Foley. Do you have fewer than 60 members? Come join in a conversation to think about ways to keep your church healthy, happy and hale! Care and Feeding of Board Members (and Other Leaders) – Rev. Renee Ruchotzke. The leaders of the congregation are its lifeblood. Join a conversation about how to recruit and support lay leaders in any congregation. Music on a Shoestring– Sara Jo Brandt, Music Director, First UU Society, Syracuse. What options do small congregations have for music in their Sunday Services?